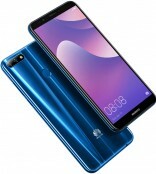 It's a big day for Huawei, as the Chinese company has unveiled a trio of high-end flagship smartphones, namely the P20, P20 Pro, and Mate RS. 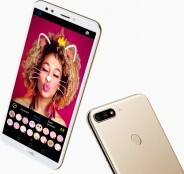 While those (especially the last two) focus on packing as many top of the line features as possible, Huawei's also thinking about the youths who can't afford any P20 whatsoever, not even the P20 Lite. And so it has created the Y7 Prime 2018, an affordable model that has young people everywhere in its marketing materials. Like any handset worthy of having "2018" in its name, it too comes with a tall 18:9 touchscreen (5.99" in size), though with 1,440x720 resolution to keep costs down. On the flip side, there's no notch here. The Y7 Prime 2018 also has a dual rear camera setup, with a 13 MP main sensor and a secondary 2 MP one used solely to capture depth information and create bokeh effects. For selfies you get an 8 MP shooter. The phone is powered by Qualcomm's Snapdragon 430 SoC, that comes with a 1.4 GHz octa-core Cortex-A53 CPU. The Y7 Prime 2018 has 3GB of RAM and 32GB of expandable storage. It boasts a triple card slot so you can use two SIMs and one microSD at the same time. It runs Android 8.0 Oreo with EMUI 8.0 on top, and the lights are kept on by a 3,000 mAh battery. Dimensions are 158.3 x 76.7 x 7.8 mm, and it weighs 155g. It will be available in black, blue, and gold. A fingerprint scanner is on the back as you can see. This is making the Nokia 6 look good. This is actually called the "Nova 2 Lite" in Philippines. I'm sticking to my Y7 prime 2017. Its battery is enduringly awesome.